Google is known for its regular updates and since the introduction of Pixel, the first ever phone made by Google the company showed off a new Play Store UI in a support video for their flagship device. Now, users are reporting that the new UI is slowly rolling out to devices. This update includes new colors and a revamped install page. 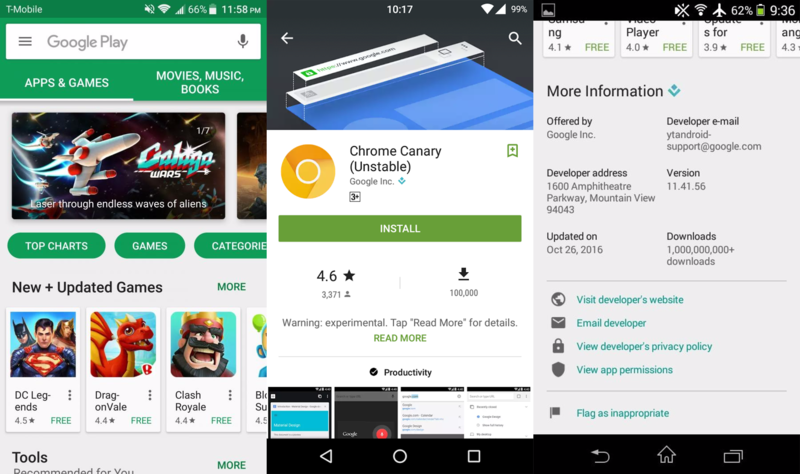 The first change you’ll notice is on the home page of the Play Store. A new shade of green has taken over for the Android-y shade we’re used to seeing. The big featured carousel across the top has been shrunk down and moved underneath the “Apps & Games” bar. However, some screenshots show the carousel has been removed completely. Moving on to the install page, the “Install” button is much bigger. The ratings and installs information looks completely different. They’ve removed the category icons, which makes it easier to read. The “More Information” section has been moved lower on the page, and developer info has been slightly reworded. All in all, these are simple changes that make the Play Store a little easier to use. So what do you guys think of the new updated interface? Share your thoughts with us in the comments below. Cheers!! Galaxy S III to be released in BLACK ?? ?